Some Kind of Star Trek: Is There Life in the UK Yet? 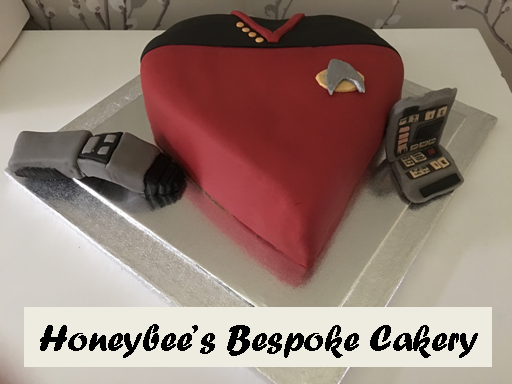 We've been exploring, reviewing, discussing, analysing, whatever you want to call it, for 16 months now and one thing is becoming even more evident the longer that Some Kind of Star Trek exists. 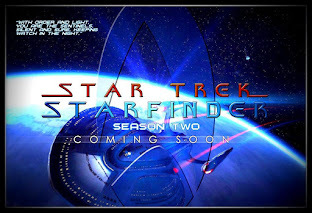 It's probably a massive exaggeration but this topic seems absolutely right for now especially with the recent announcement of Destination Star Trek London for October 2014. That in itself proves that the fanbase in the UK is alive and hungry for a massive event in the heart of the capital. However, search the internet, look around and it's really, really hard to find any clubs or associations that are Star Trek-based in the UK or more specifically, around the Stoke area where I am. Hopefully just saying that has made a few people aim their mouse for our email button or the comments box below to prove me wrong but it feels like a ghost town on this side of the pond. 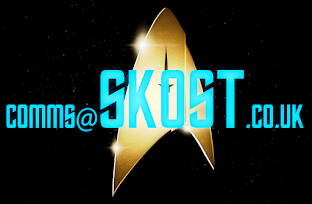 I would love to see more groups sprout up or want to be discussed/featured on Some Kind of Star Trek as we want to support fandom not just in on-screen projects. Maybe the internet itself is what has caused a dearth of UK clubs because of the way in which we can now communicate with fans across the planet. I do have a few friendships that have been formed outside of the SKoST Contingent and while they are excellent contacts, they seem to be the noticable minority. In fact I scanned through the net looking for a fairly local group but the only one I could find is the Manchester/Leeds club that seems to be impossible to contact. What pains me is that if you do Google Search "star trek clubs staffordshire" or "star trek clubs stoke on trent" it's hard to find anything and what you do find isn't there anymore. It's actually a bit depressing and after the fifth or sixth page your will to live is packing its bags and heading for the transporter. There was a club based in Stockport but this seems to have gone the way of the dodo about nine years ago. 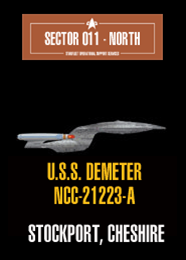 The USS Demeter website seems non-existent and their blog contains just two entries from 2005. Aside from that there's nothing and I'm not including any sci-fi clubs in this - just groups purely focusing on Star Trek. Some of those clubs that started as Star Trek groups have since evolved into groups that encompass all of sci-fi - actually something that happened to the small group I helped set up in my school in the late 1990's. Has it really come to this? Now I love getting together with the guys from SKoST (reminder that we need to sort our next meeting out +Carl Thomson +Mark Thwaite +Alex Plant +Hayley Atherton +Joe Hardacre) but there have to be more of us out there and certainly in the local area. 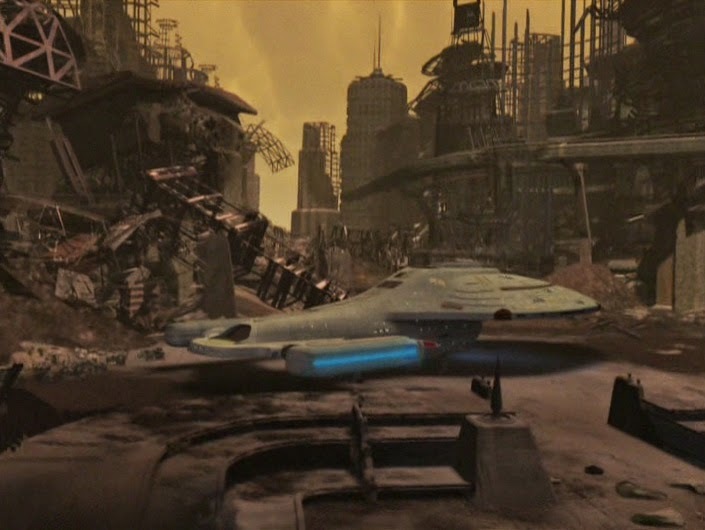 Checking out a few sites such as Starbase 24 and Starfleet Command there are clubs in Glasgow, Edinburgh, Northampton, Ireland, Swansea, South Wales, Bristol and Northumberland however most of these sites were on Tiscali or Lycos and ceased to be something like five years ago. Dropping through Facebook is almost as fruitless however there is the Manchester/Leeds group which is still in existence. Originally two "sister" clubs it now appears to work as a single unit with alternating meetings. The 150+ members of the online face of the club are keeping it going but from my perspective both Leeds and Manchester are not exactly close to pop out to on a Thursday evening after a full day at work. I know you MUST be out there (there's a UK fans page on Facebook which has over 500 followers) so why does it seem so quiet? What is happening with UK fandom because I would love to get beneath it's skin and truly know what we can offer on this fair isle. What I want to understand is how and why these clubs are either under the radar or why they died out. Was it numbers, meeting places, lack of new Star Trek or that they just fell out of love with the show? +Aaron Darkwood and I had a chat over Hangouts last year over just this subject and how we could look into building something here in the UK because we could do with something that could bring us all together. 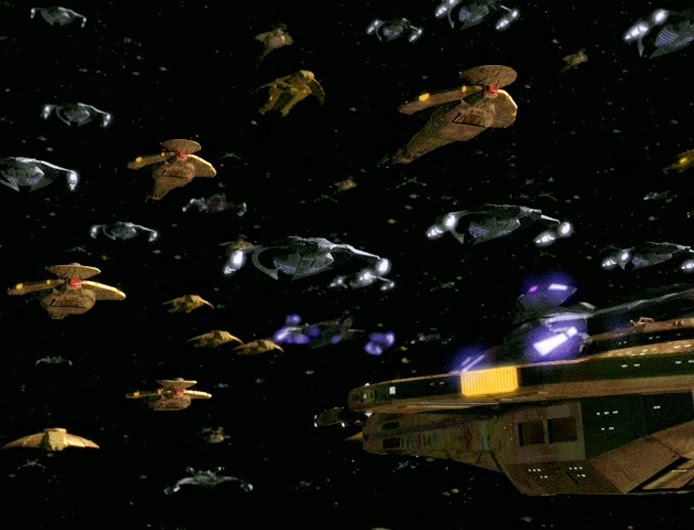 Chatting on the internet is one thing, sharing your thoughts via a forum is another but there's nothing like a face to face rant over the finer points of the Dominion War or just how many times Voyager landed. Risa, as a social network is a great start from a UK-based fan however we're all too happy to sit (just as I am now) behind the brightly lit laptop screen and shy away from proper good old talking. So why aren't we trying to sort this out? I'm sure just in Staffordshire there will be a ton of Star Trek fans (and even Enterprise fans(!!!!)) who would love to find others with a common interest. But what is it that has driven the interest "underground" so to speak especially now we're in an era where JJ has brought the franchise into the mainstream, even making it a certifiable summer blockbuster in 2009 and 2013? If you are reading this and thinking that you were in one of those clubs or know of one that is still going strong in the UK (North West preferable) then get in touch. We would love to find out more about you and what makes you tick. What's the secret that's kept you going for however many years? Right - there's the challenge and I know it won't be our last. Let's see if we can create a rebirth and a bit of excitement around the UK fan scene, let's take over local cinemas for showings of HD Chain of Command and build our own UK-based replica Original Series bridge!!! "The Original Series bridge" hey, Clive? 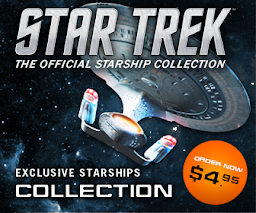 Well that's ambitious, although the Enterprise-A bridge, Star Trek VI era was always my favourite! But it is true what you say, the clubs have vanished. Clubs, now there's a word I used to shy away from that very tone back in the day, as a Starfleet Command member in (thinks back) 1990 I think, when it was all snail-mail connected, although there were meet ups and it was well run. You raised a few interesting points, but is it really that Star Trek isn't on our screens anymore? As a fan it is certainly on my screen at least on a monthly basis in some form or another. We were granted the two new Star Trek films, implying at least, that from a cinema point of view the name is being kept alive, but it is just that, just the name? I think the Star Trek films of late are not fan films, they are films aimed at the masses in order to capitalise on the franchise and make money. Sci-fi fans everywhere who accept and like Star Trek will argue they are great films, and as films in themselves, they are. But true dedicated Star Trek fans, and any of you mention the term "Trekkies" will encounter Klingon pain sticks rapidly, will tell you that the films were flawed in so many ways, destroying cannon and existing story etc etc etc that they are not films aimed or made for us. As a Star Trek fan myself, I like the technology, the story, the direction and the ambiance of Star Trek. It's moral story telling, it's future vision and all of that. I have never been a person who wants to collect plates and mugs, or queue up for autographs and ask actors what their favourite episode was. There are some actors who are fans, but not many, and I can see the cringe in their faces and the embarrassment as they attend conventions. 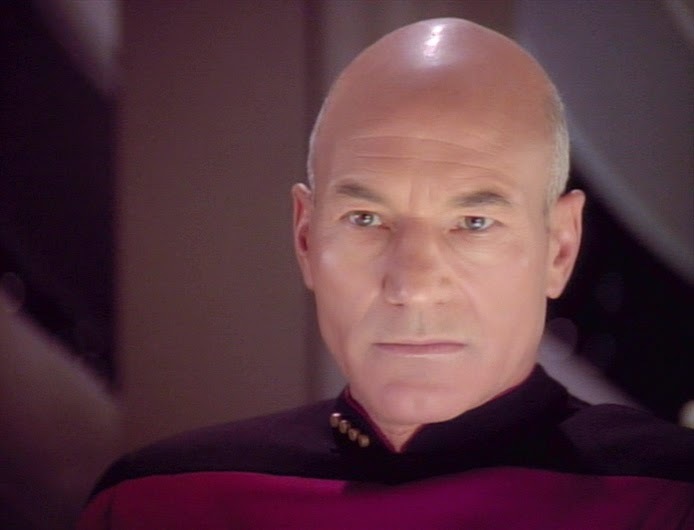 I would like to meet Captain Picard, I don't have any urge to meet Patrick Stewart, that sort of thing. Now if they did a convention and all actors arrived and stayed in character, that would be great! 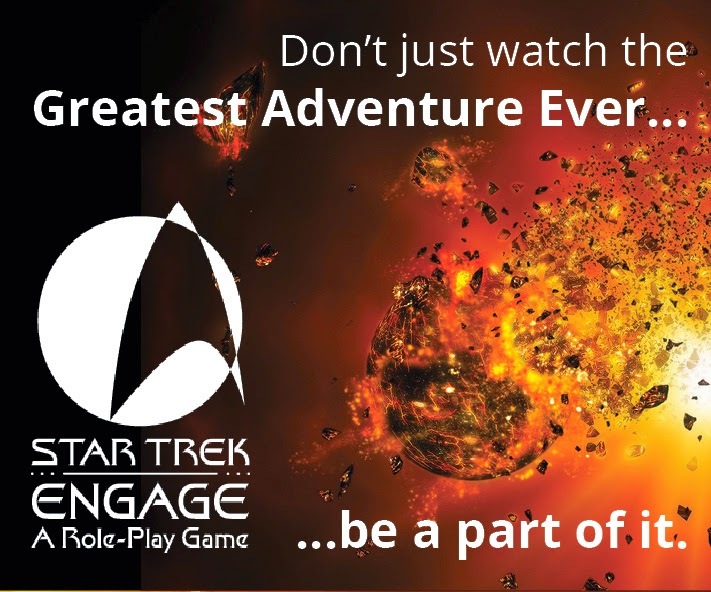 As a Star Trek fan I have dressed in costume, almost a necessity to be involved really, have attend film showings, charity events, live action roleplays on stage, Final Frontiers micro-machine board game events involving starship battles. I've designed LCARS board for such games, and even started building a bridge with friends once, but got stalled due to cost. Of all of it, the live action roleplay was probably the greatest fun. Donning the uniform, assuming your character, and engaging in a mission. For a while, I did this as a written format, on the internet writing a character. That was fun too, and also something I miss. So if a new "club" was formed today, what would I like to see? In traditional ship format, so the club run as a ship, with people assuming roles. I don't want to be just another Trekkie talking about a fixation of a TV program. I want to live a role and immerse myself into it. Both feet in the water. Actual face to face meet ups. And if this is a national group, that's going to be more difficult for some than others, but if its monthly, annually or something else, I would like people to actually meet every now and then. A creative base for activity. Which in modern terms is going to be a website where people can interact, upload to, and add content. In the USA some "ships" managed this quite well, although a lot have dropped off, gone dead or quiet etc. But the ship would be designed, built upon, developed and discussed. The ship would have a roleplay story and a fictitious direction of where it was going, what it was doing at any given time. Design stats for engines, and other technology would be modified, tweaked and reviewed as engineering projects. And all departments would have an involvement in this. Everybody can contribute something. Away missions held locally. As a National based group there are going to be people who live near each other. 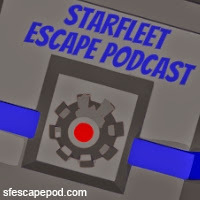 With the Captains permission, a designated officer could lead an away mission in some part of the country, either by transporter (everybody just turns up) or via shuttlecraft (a group go in a car to some event) and the story continued and written about afterwards and shared with the rest of the crew. It could just be a meet up down the pub, or attending a convention somewhere, a day in a shopping mall doing something for charity or something else. Crew bonding. The purpose isn't just sharing a hobby, but developing a philosophy. 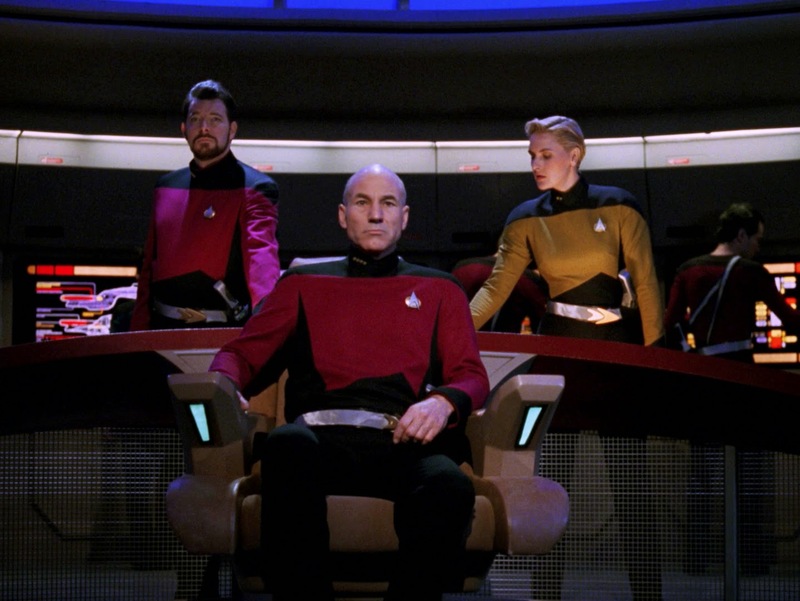 Star Trek fans, ones who immerse themselves into it, tend to have the Star Trek outlook. The ones you share an affinity to are ones you will likely build a close friendship with. You may not be the clean cut UN loving peacekeeper that Starfleet academy churns out, you might be a bad tempered warmonger who will no doubt adapt a Klingon identity/character. So if this was created, would you help to run it, be a part of it, show an interest or something else? Are you in one of the UK clubs that DO meet up? Let us know you exist by emailing us or dropping a line in the comments below. Let's spread the word some more and talk about your successes or the difficult path to ensure you've stayed afloat.